ALSO KNOWN BY HIS PEN NAME Plaridel, Marcelo Hilario del Pilar y Gatmaitan was a Filipino writer, lawyer, and journalist. A prominent figure in the Propaganda Movement, he was a co-publisherand the second and last editor of La Solidaridad, the society’s publication. Obtaining his Bachelor of Arts degree from Colegio de San Jose, he took up law at the University of Santo Tomas.When he was a fourth year law student in 1869, he served as a ‘padrino’ (godfather) at a baptism.Having questioned the excessive baptismal fee charged by San Miguel, Bulacan parish priest, Del Pilar was imprisoned for 30 days in the Old Bilibid Prison (then known as Carcel y Presidio Correccional). In 1882, Del Pilar co-founded the first Philippine bilingual newspaper,‘Diariong Tagalog’ (Tagalog Newspaper) in which he published patriotic essays and edited its Tagalog section. He once featured in the publication Jose Rizal’s article, ‘Amor Patrio’, which Del Pilar translated into Tagalog, “Ang Pagibig sa Tinubúang Lupa” (Love of Country). Actively, Del Pilar fought against clerical abuses, like the unfair collection of tax for the Church’s financial gain, and once worked for the establishment of a school for Filipinos. In one big anti-friar demonstration by Filipinos, the demonstrators marched to the office of the civil governor of Manila, presenting to him a manifesto written by Del Pilar addressed to the Queen Regent. The manifesto entitled “Viva España! Viva el Rey! Viva el Ejército! Fuera los Frailes!”(Long live Spain! Long live the King! Long live the Army! Throw the friars out!) demanded the Spanish friars’ expulsion from the country, including the Manila Archbishop himself. In 1888, the new Bulacan governor was convinced by the friar Felipe Garcia to dispense an order of banishment against Del Pilar for his seditious and anti-clerical pursuits. Sensing that the Spanish government would first arrest and imprison him, Del Pilar immediately fled to Spain on October 28, 1888 even before the order was released. Arriving in Barcelona in 1888, Del Pilar soon gained popularity in the Filipino community in Europe as he actively continued his patriotic campaigns. At that time, Jose Rizal was then in London studying further and annotating Morga’s ‘Sucessos de las Islas Filipinas’. Rizal one day received a letter from Mariano Ponce, enclosed with it were some articles written by ‘Plaridel.’ Impressed by the articles, Rizal thus wrote to Ponce, “I am very grateful to you for this … Our country ought to rejoice because her sons who know how to love her are beginning to appear. Who is Plaridel?” Upon knowing Plaridel’s identity, Rizal had then befriended Del Pilar through correspondence.Since then, mutual respect and admiration between the two heroes had grown. Del Pilar’s “Dasalan at Tocsohan” (Prayerbook and Teasing Game), a mock-prayer book and satire on the friars’ greediness, pretense, and extravagance, was praised by Rizal as a model of classical prose and an outstanding example of Tagalog humor, wit, and sarcasm. 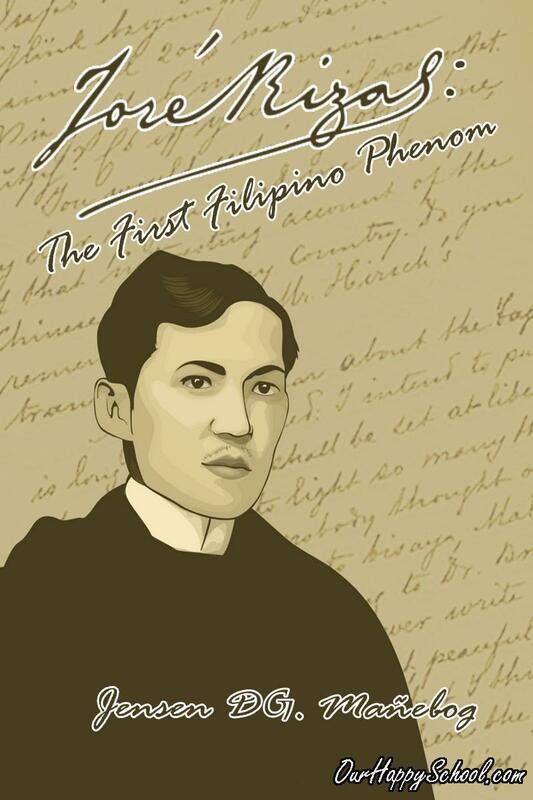 After Rizal’s Noli Me Tangere was publised, the Augustinian priest Jose Rodriguez attacked Rizal in 1888 by writing a pamphlet entitled “Caiñgat Cayo! : Sa mañga masasamang libro’t, casulatan” (Beware! : of bad books and writings). Del Pilar defended Rizal and refuted the friar’s claim by writing “Caiigat Cayo” (Be as Slippery as an Eel) on August 3 of the same year. Rizal first met Marcelo Del Pilar and Mariano Ponce when he (Rizal) visited his compatriots in Madrid and Barcelona on December 1888. Rizal promised to actively help in the fight for reforms. In August 1890, Rizal took the service of Del Pilar as lawyer. In Madrid, the two tried to seek justice for Rizal’s family as regards the Calamba agrarian trouble (though they were not able to find any powerful person to back them up). 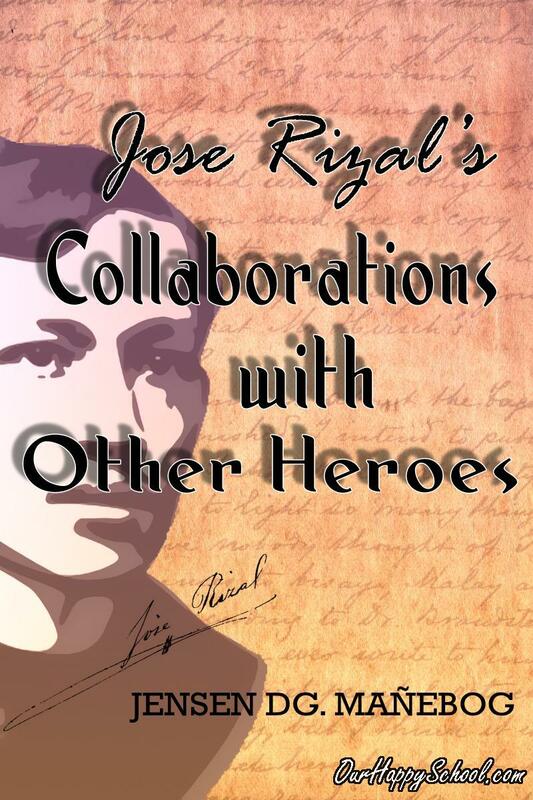 Del Pilar’s friendship and comradeship with Rizal can be gleaned through their exchanged letters and the famous classic photographs in which both heroes stood alongside each other. (In the pictures, we can notice that Del Pilar was even smaller than the national hero whom was commonly described as short). 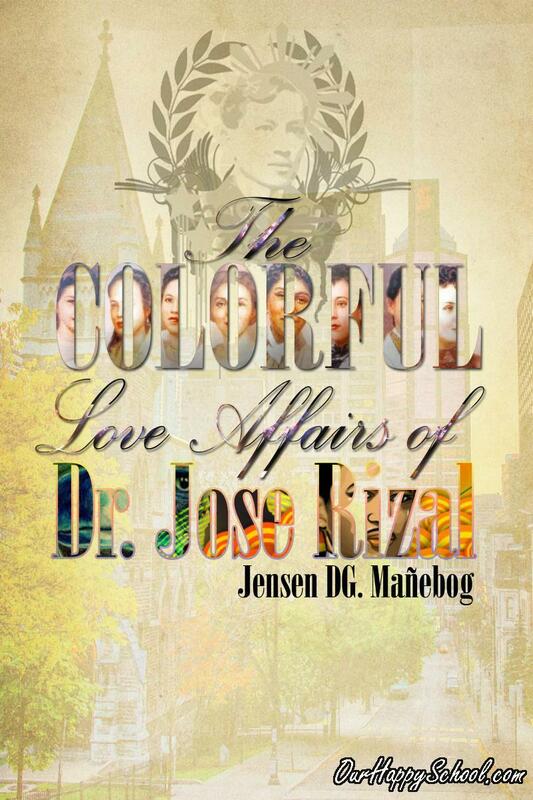 When the year 1890 was about to end, an unwanted rivalry between Rizal and Del Pilar nonetheless arose. By the time, Del Pilar had become the owner of La Solidardad and had taken the place of Graciano Lopez Jaena as its editor. Del Pilar’s management and editorial policy were occasionally dissimilar to Rizal’s political vision. The editorial policy of La Solidaridad under Del Pilar’s management enhanced the cleavage between Rizal and Del Pilar. Rizal and his close friends objected to the periodical’s editorial policy which was occasionally contrary to Rizal’s political views. Ideally to fix differences and solidify the unity among them, about 90 Filipinos in Madrid met on the New Year’s Day of 1891. It was agreed upon in the gathering that a leader called Responsable, be elected to administer the campaigns for reform of the Filipinos. The voting happened during the first week of February that year. It was decided that the ‘Responsible’ must be elected by a two-thirds vote of the participants. The supposedly healthy election for a leader produced divisive unpleasant split among the Filipinos, the Rizalistas and the Pilaristas, as both camps zealously campaigned for their respective choice. Rizal won the election but his votes fell short of the required two-thirds vote to be declared Responsable. He won again on the second day, but then again, the votes counted for him did not reach the needed fraction. On the third day, since Mariano Ponce appealed to some Pilaristas to surrender their will to what the majority wanted, the election resulted in Rizal’s becoming the ‘legal’ Responsable. Rizal, however, courteously declined the position. He knew that there were ‘Pilaristas’ who did not like either his views or personality. Jose Rizal, a man of delicadeza, thus decided to abdicate his leadership and leave Madrid, lest his presence results in more serious faction among Filipinos in Madrid. After Rizal’s El Filibusterismo came off the press, Del Pilar frankly commented that it was inferior compared to Noli. This remark was freely acknowledged and granted by the author. Reading the La Solidaridad from Hong Kong, Rizal was however disgusted with the articles’ allegations about him. On May 23, 1892, Rizal sent a letter of protest to Mariano Ponce against Eduardo Lete’s article which alleged, among other things, that Rizal was a coward and had abandoned the patriotic cause. Rizal wondered why Del Pilar allowed the publication of such an article, fearing that it would lead the readers to believe in the existence of division among them. Del Pilar became a close friend of Miguel Morayta, a professor at the Universidad Central de Madrid and his co-member in the Freemasonry. Before he died, Del Pilar abandoned the ‘assimilationist’ stand, that is, the advocacy to have the Philippines be treated as one of Spain’s provinces. Wanting an armed revolution, Del Pilar bravely stated, “Insurrection is the last remedy, especially when the people have acquired the belief that peaceful means to secure the remedies for evils prove futile.” This pronouncement inspired the establishment and mission of Andres Bonifacio’s revolutionary society, the Katipunan. Shortly before his 46th birthday, Del Pilar died of tuberculosis on July 4, 1896, barely six months before Rizal’s execution. Initially buried at the ‘Cementerio del Sub-Oeste’ (Southwest Cemetery) in Barcelona, his remains were brought to the Philippines on December 3, 1920. Buried at the ManilaNorth Cemetery, it was later transferred to his birthplace in Bulacán, Bulacan, under a monument, on his 134th birth anniversary celebration (August 30, 1984). Other notable writings of Del Pilar were “Pasiong Dapat Ipag-alab nang Puso nang Tauong Babasa” (Passion That Should Inflame the Heart of the Reader, 1888), “La Frailocracia Filipina” (Friarocracy in the Philippines, 1889), and “Sagot ng España sa Hibic ng Filipinas” (Spain's Reply to the Cry of the Philippines, 1889).